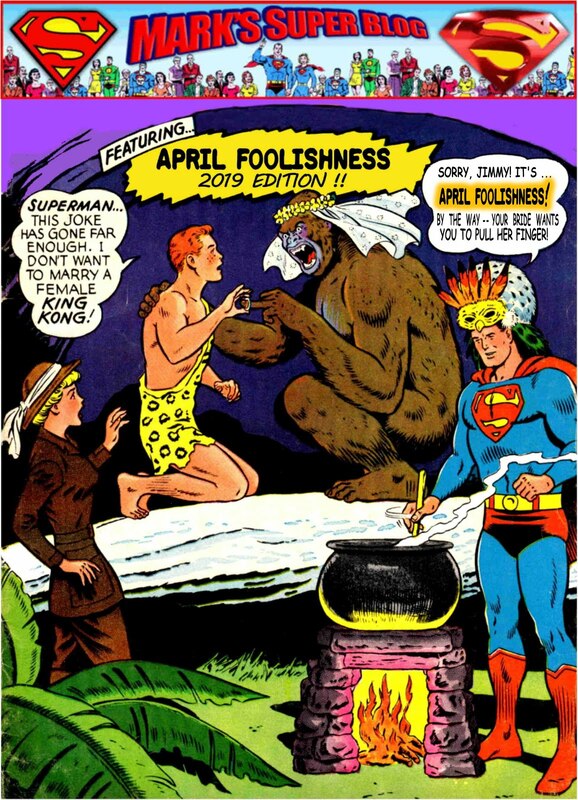 According to the DC Wikia, the cover art is by Curt Swan. The story was written by Jerry Coleman, and the story art was by John Sikela. Right off, we have a disconnect with a more modern mind. 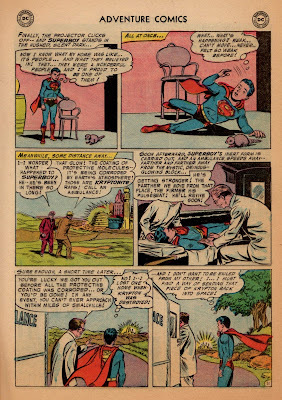 True, in the farms of more-or-less 1930s Smallville, and even in 1957, the year of this tale’s publication, births at home weren’t unheard-of. But a super-advanced race of geniuses practiced home delivery? One day outside Smallville, a huge “WHAMMMP!” is heard, and a chunk of Krypton the size of a city block lands undamaged, without causing a rift in the Earth’s crust that wipes out the human race. Take a look at the second panel. 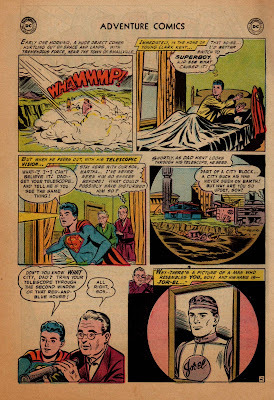 The Kent farm must REALLY be out in the sticks, if Superboy feels secure enough to hang his cape on the bedpost (next to his chewing gum? 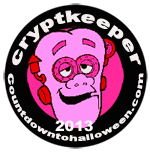 ), where any passerby might spy it. 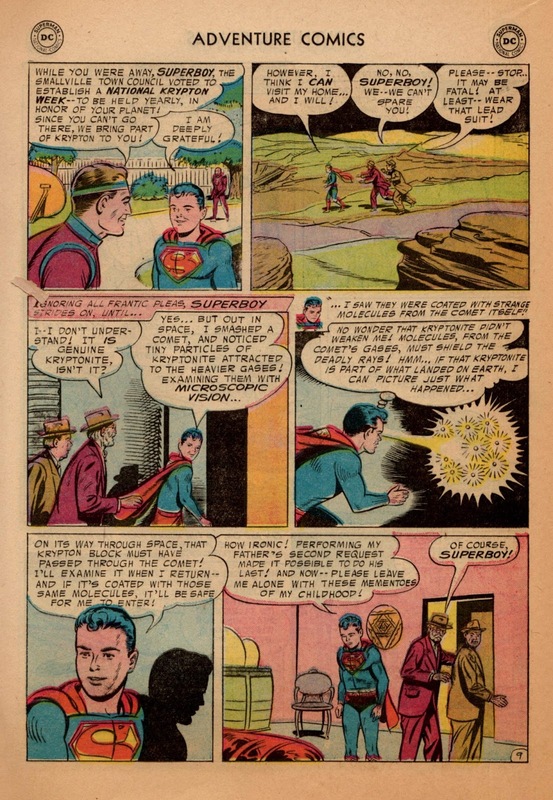 We must assume that it’s a storytelling conceit, when we’re able to read, in English characters, the name of Superboy’s scientist dad. 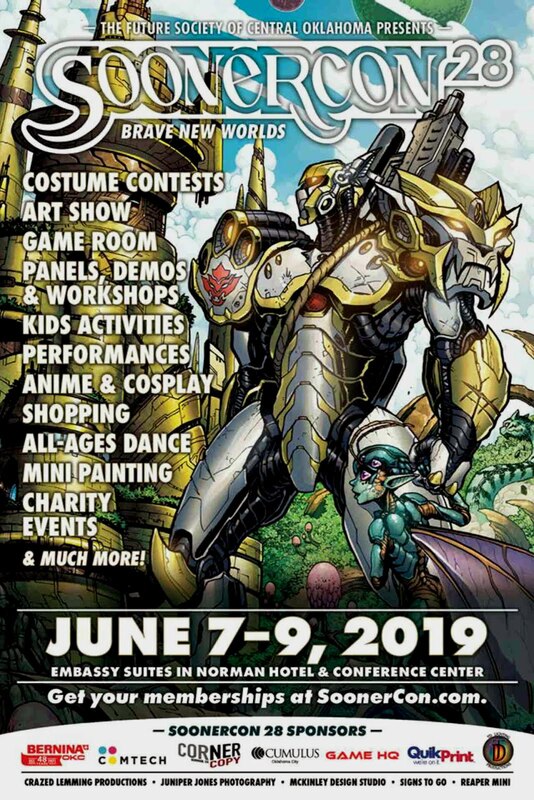 Of course, in comic-book-land, nothing interesting would happen without such things! 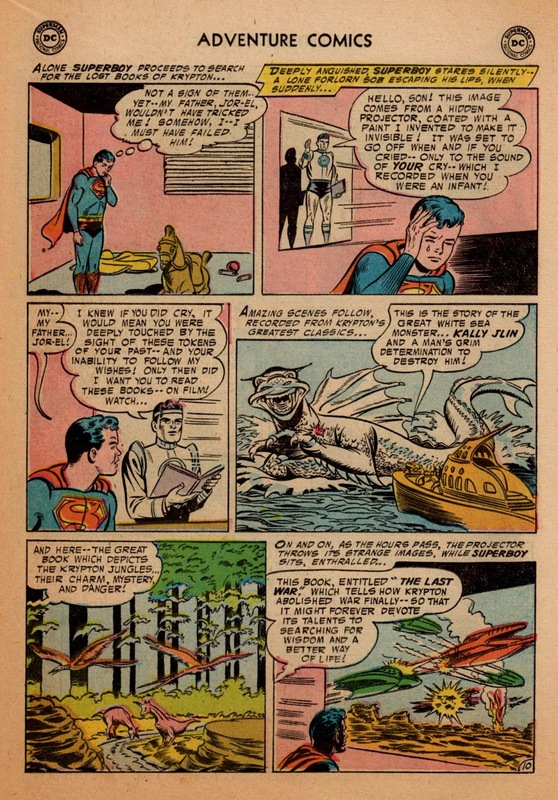 Now we read the Three Tasks of Jor-El. 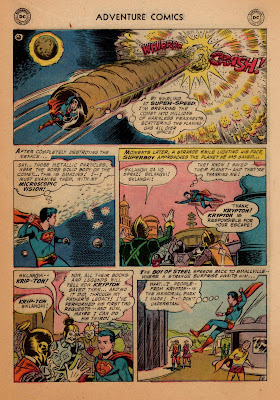 Superboy is most intrigued by the third; it seems most easy to fulfill. Read some books? Simple! But when he takes a further look around, he can’t find any! What to do? Why, take a field trip to his childhood home! 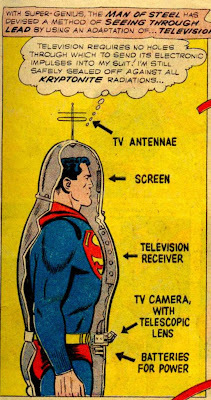 It’s a good thing that Superboy attached his cape to the lead suit. Otherwise, nobody would know who he is! 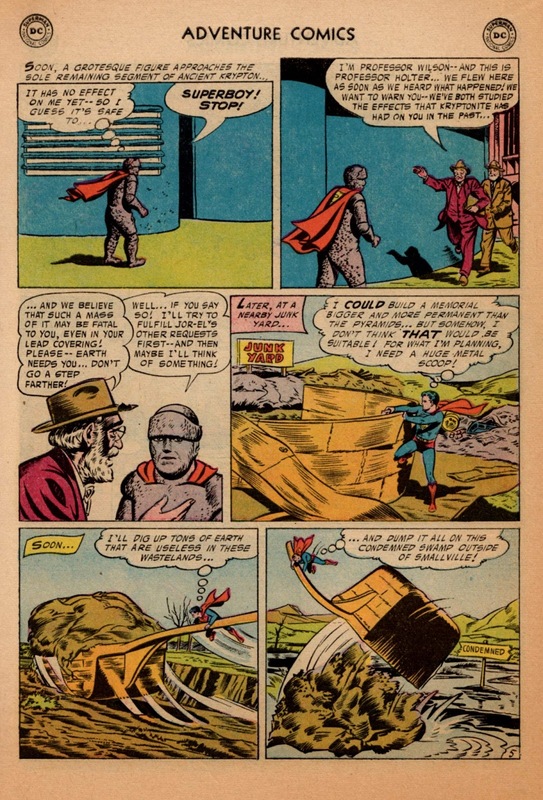 This crude mudbath-type of outfit is nowhere near as advanced as the lead suit Superman would invent to use against Luthor, in Action Comics #249 (1959, two years after this story). You have to smile, though, when you read the last panel of this page. 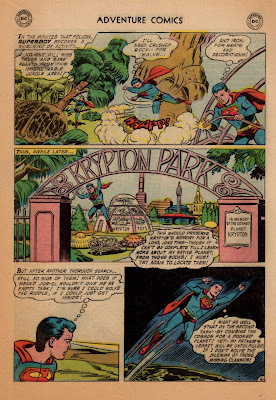 Superboy is making use of some unused land, to set up his “memorial to Krypton.” Note that not only is this a swamp, it’s a CONDEMNED swamp! How in the world can the town “condemn” a SWAMP!?! What are they going to do – tear it down and build another one? 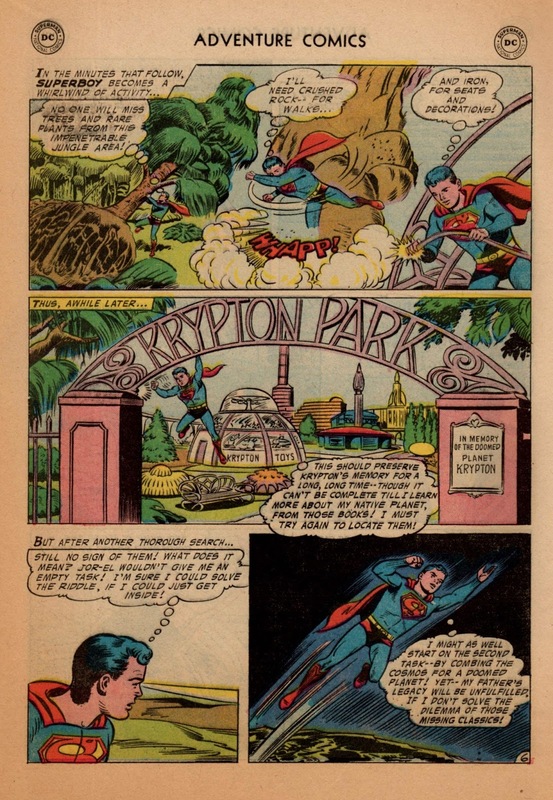 Note that the DC editors make it very clear that the materials used to construct Krypton Park are all taken from places where they won’t be missed. And now that we get an ogle of Krypton Land, don’t you wonder if its appearance was suggested by Disneyland’s Tomorrowland, which had opened in 1955? Until he discovers a Very Special Planet. I wonder how Superboy can tell the mood of the folks at a glance? From what I can see in Panel Two, I can’t tell whether or not the people look “dejected.” What a typical example of human do-goodery, to ASSUME that we could meet an alien race and “read” their faces, to infer their emotional state? 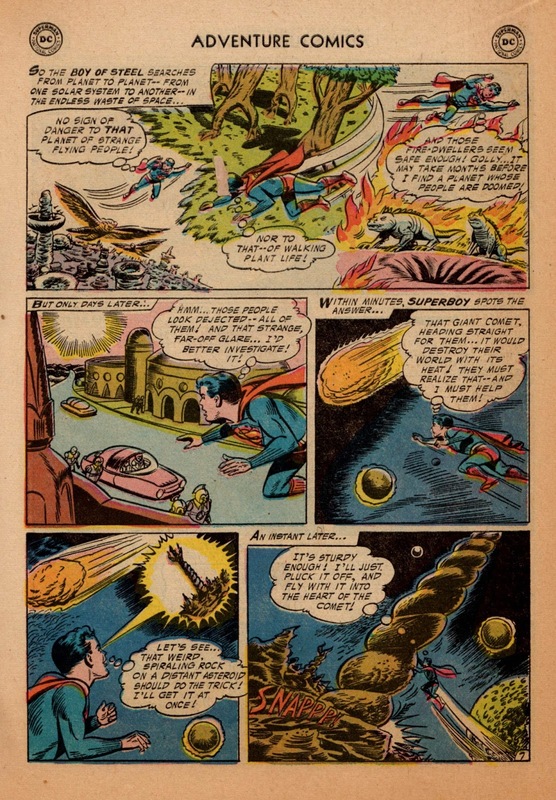 OK, judging by the bottom two panels of Page Seven, Superboy is fixin’ to take that weird rock formation and use it on the advancing comet, like spearing a meatball! No, instead of spearing the comet. Superboy smashes it with a rod of iron (just like the irate Jehovah in Psalm 2:9). Then he descends to the planet he has saved, to make sure they know that Krypton saved them. Or something like that. 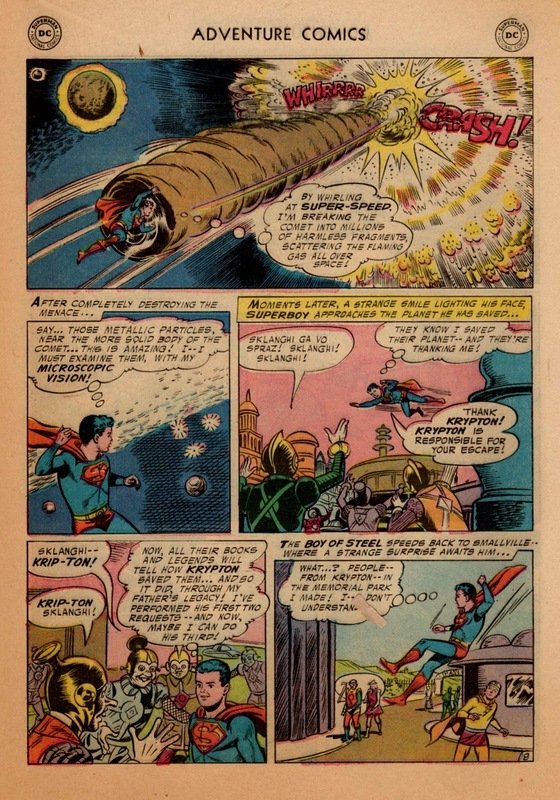 ... because particles from this comet’s tail evidently had also coated the Krypton fragment when it passed through this same space system. 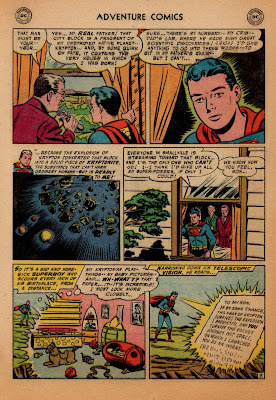 With amazing omniscience, Superboy knows that the Krypton block “must have passed through the comet!” Thus “coated,” this Kryptonite is somehow inert, and the Boy of Steel may now take a bittersweet stroll through his forsaken childhood home. Here we have another of those gosh-darn coincidences. That foresightful Jor-El had programmed his secret, invisible projector to trigger only when it heard somebody crying, and only if that weeping matched a recording of the infant Kal-El’s crying. 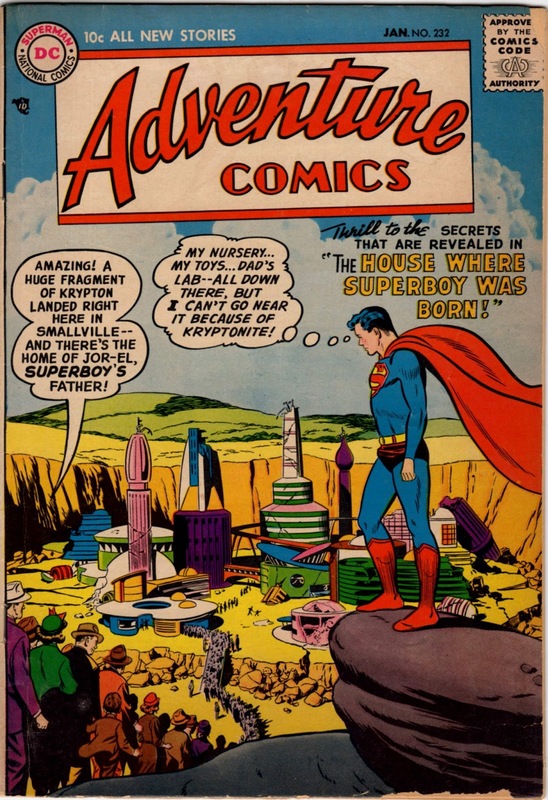 Ain’t it amazing that Kryptonian science could make a voiceprint match between a baby’s voice and how that child would sound ten years later? 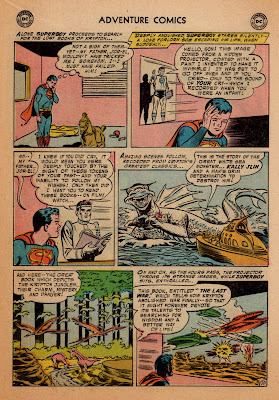 So perhaps this Kryptonian book, The Last War, was a bit of wishful thinking, a dream that might never come true on Earth. The projector clicks off. 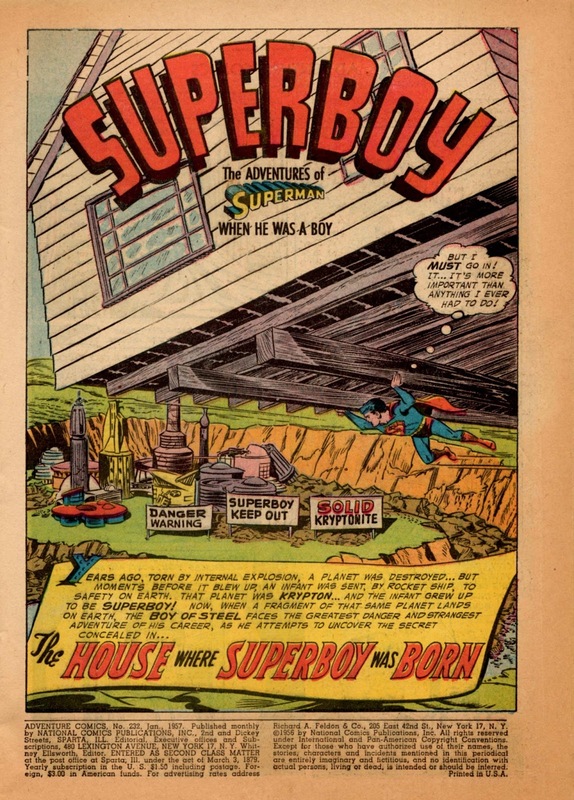 Superboy begins to muse on the wonder of it all, only to drop to the floor unconscious. Some helpful human observers darg him away just in time. 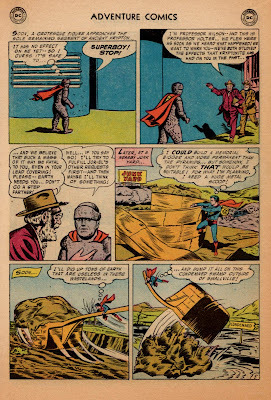 Unnoticed by him, the “coating” that had insulated the city’s Kryptonite has worn off, and without rescue he’d have croaked! 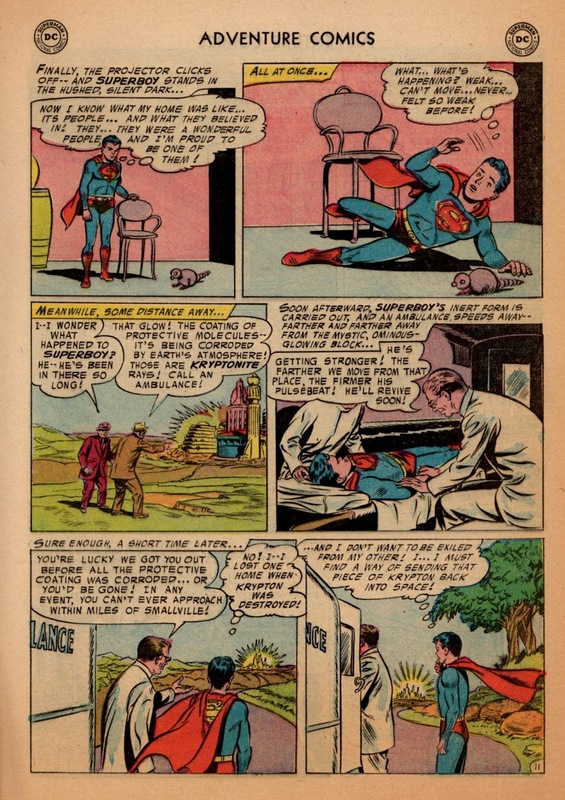 And what terrible news greets him on recovery: He can never approach the block again, or even Smallville! 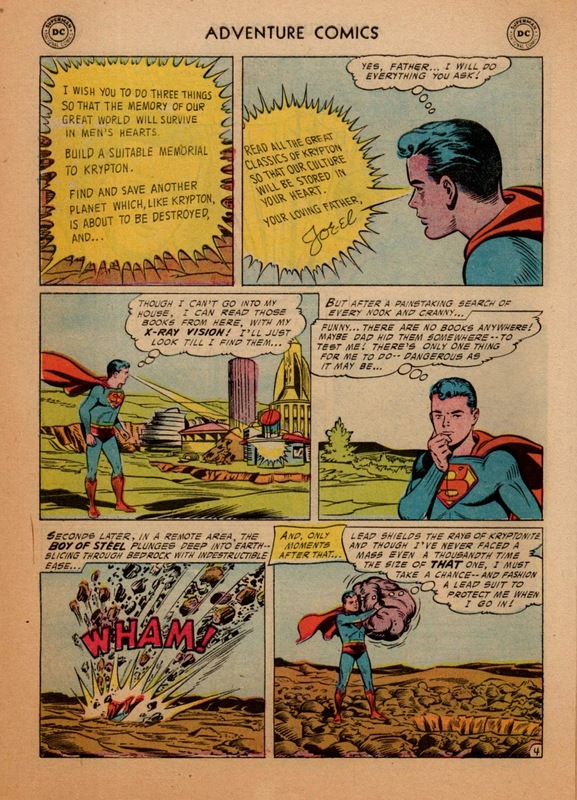 The Kryptonite radiation is too intense. 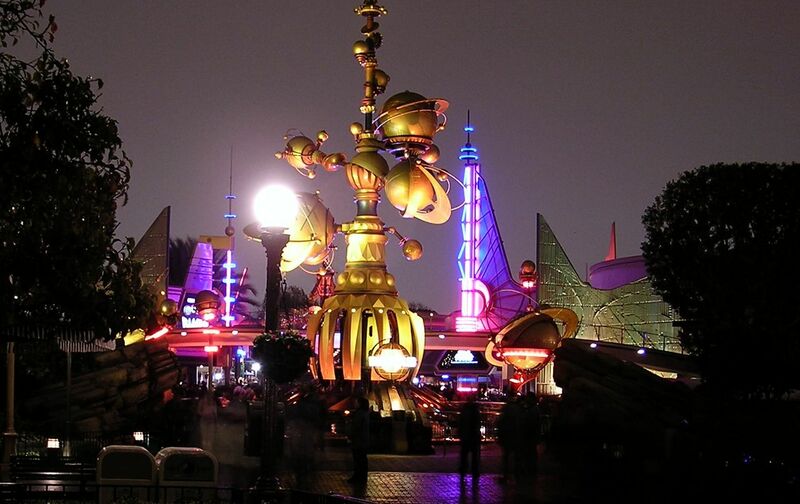 This outer-space real estate has got to go! But how can he do it? What can he do now? 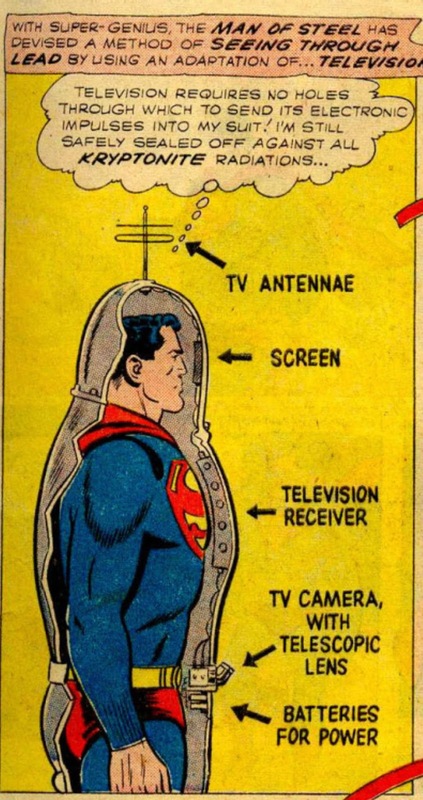 Or, you could thrown a Kryptonian city block into space! 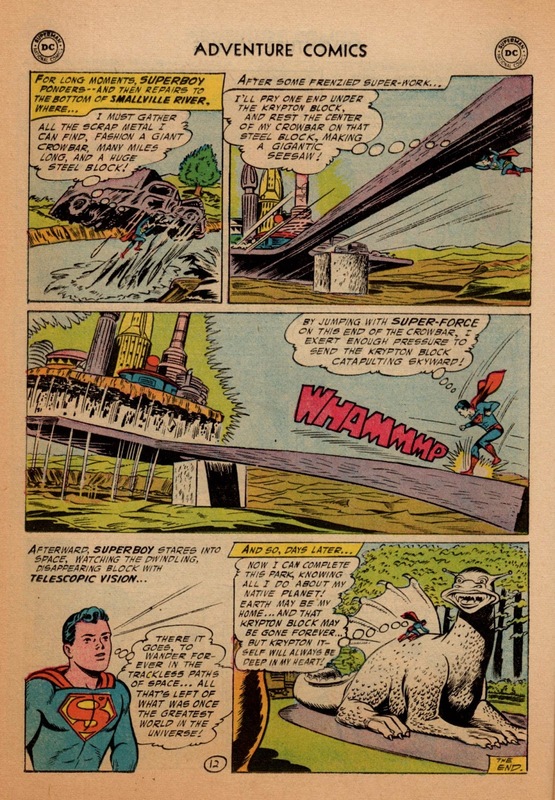 Don’t say that Superboy uses a lever and a fulcrum. Put it into our juvenile vocabulary: He made a giant seesaw! We end our tale, of course, with the status quo restored. Kal-El is left with a sad memory. 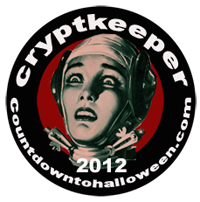 He’s encountered a literal piece of his past, only to realize that he can’t keep it with him forever, except in memory. On the bright side, he can reminisce while sitting on his giant model of a Kryptonian Kally Jlin! See you next Monday, here on the Super Blog!